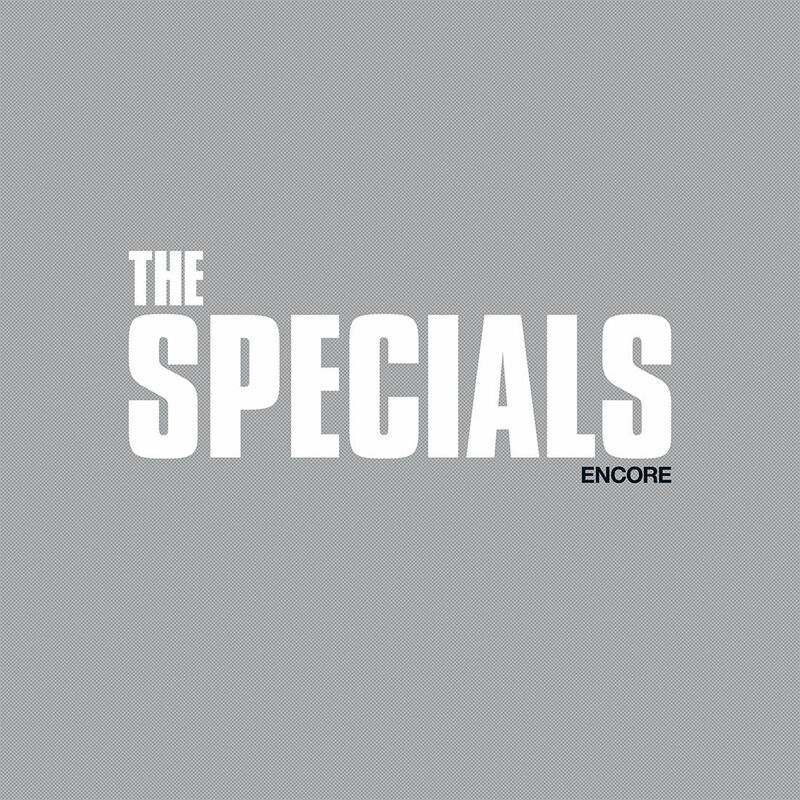 That album, 2019’s ‘Encore’ – the first Specials album to feature Hall since 1980’s ‘More Specials’ and featuring other original members Horace Panter (bass) and Lynval Golding (guitar/vocals) – is different from previous work and yet still defiantly the work of The Specials. It’s forty minute playing time zips past in the prick of an ear; a lack of bloat is surely inspired by the resurgence of vinyl as a medium in the eight year interim between the reunion and release. Brevity doesn’t mean it skimps on weight, though, since ‘Encore’ is heavy. Heavy on bass led grooves; heavy on a rock-steady vibe and – even more obvious as to why the band chose this point in time to record a new musical manifesto – very heavy when it comes to a political bias. Other Specials releases were known for social commentary, but parts of ‘Encore’ take that to new extremes. Yes, they’re older and angrier, but at the time of release, Terry, Horace and Lynval have every right to vent. Britain found itself on the cusp of an especially suicidal political move, ostracising itself from the rest of Europe without strong trade links and prompting possible food shortages – a feeling of austerity and fear much like when The Specials’ musical journey began all those years ago. But, even more tragically, insular feelings have led to a rise in outdated attitudes. Taking a look at the issue of race, a cover of The Equals’ ‘Black Skin Blue Eyed Boys’ is given pride of place as album opener. Perhaps a reflection of the time in which the lyric was written, its message is somewhat gentler than Golding’s own ‘B.L.M’ which soon follows, but is no less of an important one. In this case, the message is that white isn’t superior and there should never be black versus white within social politics. Taking the rather sharp-edged statement that “the world will be half-breed” as its main hook, it’snot particularly subtle, but the sentiment that by mixing up races could lend the world an extra unity and feeling of peace is a wonderful one – and the Specials resurrection of the song is definitely on-point considering the racial backtracking that was being enabled in the US at the time of this release. Musically, it’s a fine effort: part ska, part funk, but so tightly constructed. Within this three minutes, the listener gets a great insight into how great a musical unit the current Specials is, with drummer Kenrick Rowe leading the charge with a rhythm that’s then taken to full flight by the legendary Horace Panter. With a sharp rhythm guitar feeling so much more important than a sharp space-filler, there’s something here that sounds like the Specials drawing influence from ‘Fear of Music’ era Talking Heads. It’s a great move – and a great track – even if the only true link with the band’s past comes from a typically unaffected vocal from Hall himself. Lynval addresses racism head on and very, very directly on an instant highlight, ‘B.L.M’, a spoken word performance detailing his fathers first experiences on arriving in Britain with a “no blacks, no Irish, no dogs” attitude in public places and his own being singled out in the schoolyard. Later, he tells of his move to the US and being made to feel like a crook in a jewellery store. At the outset of 2019, the world seemed incredibly skewed with such direct racism being rampant in America, spearheaded by a “President” who’ll do nothing to speak out against right-wing thuggery. It’s no wonder Lynval is furious. A dense and frightening message in the vocal is made more palatable by a great musical accompaniment, with Panter locking down an absolutely amazing groove throughout. In a similar vein, the pointed ’10 Commandments’ takes an old Prince Buster number and turns it on its head. Buster’s 1967 number is now a prime example of outdated sexual attitudes, putting women in a place where they are no better than mere sexual property. The Specials seek to write this wrong on their updated version and apply a fatter variation of the familiar tune to a lyric delivered from a woman’s perspective. The vocalist is none other that Saffiyah Khan, a brilliant woman who found fame by tackling racism very publicly in 2017 (and the subject of Billy Bragg’s ‘Saffiyah Smiled’). She takes each line and delivers the message with a calm, but assured strength turns in an incredible performance that launches itself head first with the line “Thou shalt not listen to Prince Buster, or any other man offering kindly advice in matters of my own conduct” and builds from there. Across four minutes she takes on cat-callers, the ignorance of YouTube ranters and the male fantasy of unattainable beauty; the ignorance of blame culture and of those still parading as “arm candy” and various important issues in between. This isn’t just an important re-writing of Buster’s own commandments but in some ways also Cecil Campbell’s horrible attitudes towards women on ‘Stupid Marriage’, a track The Specials re-worked for their own debut back in 1979. For fans of the band’s older works, lead single ‘Vote For Me’ offers something instantly likeable. It comes with a shadowy quality within the hushed vocal and moody reggae sounds, but its true spookiness comes from a swirling organ part and bridge section that very deliberately hints at ‘Ghost Town’. A political lyric acts as a reminder of the country not just going off track, but being pushed face first into a sewer of selfishness and, as with The Equals cover, it is a great example of the whole band working well together. The nods to the past are a fantastic way of reminding the listener that regardless of line-up, era, or whatever, the best Specials work still carries a very distinctive sound. Drawing heavily from 70s reggae, ‘Embarrassed By You’ gives Panter and Golding another brilliant musical platform. A tale of hoodies and street crimes, it provides a look at the darker side of British cities, which is tackled with an absolute fearlessness as it points a finger of shame. Lynval is in especially good voice, whilst Terry adds a fantastic counterpoint. As the number fades, it perhaps feels a little unfinished, but since the message has already been made more than clear, there was no real benefit to labouring a point. With sedate reggae grooves, fine percussion and a harmony vocal that suggests a timeless style, ‘We Sell Hope’ is a fine reggae-soul hybrid with everyone sounding very much at ease. A moody vocal applied to a dub-friendly speed and then contrasted by melody that (presumably only coincidentally) sounds a bit like ‘Stairway To Heaven’, it’s instantly gratifying, but a tempo shift into a chorus lifts the music just enough to make it feel slightly more radio friendly. An insistence on the vocal not actually becoming more urgent is important: like ‘Vote For Me’, there’s an underlying unease that just makes this sound so much deeper. ‘Encore’ might feature flashier tracks and have even angrier messages to share, but the unity of voice and passion within the performance here is enough to make it work. Revisiting straight up ska, ‘Blam Blam Fever’ potentially has a broader musical appeal, offering some classic sounds but its lyric, a pointed look at a lack of gun control, isn’t in anyway meant to be taken anywhere near as lightly. The Specials had already covered this old Valentines side on their ‘Skinhead Girl’ album back in 2000. That first recording presented the track in such a way that the treble boosted aspects meant it sounded like the most perfect Trojan tribute. Since only about thirty people heard that album, it’s reprisal here is very welcome. The arrangement is essentially the same, though with a much warmer feel to the bass. With Terry replacing Neville on vocals, it sounds a little different, but loses nothing. Between a great melody and a message that everyone really needs to take to heart, it sounds as vital as ever. 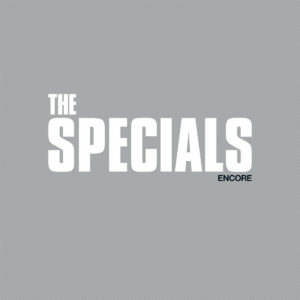 With Hall, Golding and company helping The Valentines’ legacy to live on, it’s one of ‘Encore’s best tracks. Changing the mood yet again, ‘The Life & Times (of A Man Called Depression)’ is a spoken word piece that has a dark undertone that leans towards The Special AKA’s ‘The Boiler’. The music quickly sets up a mid-paced groove – a fantastic bassline on loan from from an old Jethro Tull hit and stabbed clavichord provide the main interest – over which, Hall recounts various feelings. There are times when dealing with depression feels like “staring down the barrel of a gun”, our narrator suggests, before also telling everyone it represents “hate at first sight.” This isn’t going to be easy. Also feeling “ruthless” and “clueless”, there are many sides to this issue, it’s never just the case of just cheering up and these five minutes constantly wobble on a tightrope of angst, self-loathing and fear. It could’ve been the kind of track you listen to once or twice and move on, but there’s something very beguiling about Hall’s natural presence that gives reward on each successive play. “The emperor has got new clothes”, he adds intermittently, in a way that suggests that the drugs don’t always work, but merely provide a temporary change of perspective, while a few Doors-ish keyboards bring a retro flair. It’s interesting and deceptively complex in a way that’s quite removed from the Specials norm. By this point of a wilful and varied record, though, it’s clear there is no Specials norm. You’re either with them…or you’re not. Joining the brilliant covers and newly written material is a fantastic reworking of the old Fun Boy Three hit ‘The Lunatics’. Removing the clunkiness of the original recording but without losing any of its ability to disquiet, this recording should now be seen as the definitive version. A jazzy piano intro instantly waves goodbye to the 80s sound, before the number drops into the more familiar tango. Hall’s voice sounds almost exactly like his younger self; the harmony vocals retain an easy cool and a world of strings and brass gives everything the grandiose send-off it always deserved. …And the very fact that no lyrics have been updated only proves how the governments pulling the strings really haven’t learnt anything about what’s good for the many rather than just the few. Aside from the screwed up world that inspired the track – and continues to make it relevant – this is just brilliant. ‘Encore’ is one of those albums that gains momentum at a frightening rate and it certainly isn’t for those looking for a fun knees-up that can be enjoyed on a whim. It takes a few plays before it’s true greatness can be appreciated, but Its outspoken messages and taut music come together fantastically, placing it on a plinth of late career classics alongside The Selecter’s ‘Subculture’. While the absence of original member Neville Staple is initially felt, with this album, The Specials add to their enduring legacy with one of their most important recordings to date. This entry was posted in Album & EP Reviews and tagged horace panter, lynval golding, pop, saffyiah khan, ska, terry hall, the specials by Real Gone. Bookmark the permalink.